As for the June meeting, due to the unavailability of our regular venue, The Village Green Hotel, our Annual July 'Trivia Night' will be held at The Manhattan Hotel Ringwood, in their 'Empire' Function Room....situated on the upper level of the Hotel with entry via a staircase at the rear of the building (ie. opposite side to Canterbury Rd). 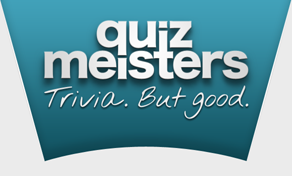 Quiz Meisters - offer a fun & unique style of ‘Multimedia’ Trivia, being the first trivia company in Aust to incorporate DVD segments into the format to turn trivia into entertainment by embracing film, comedy, music & pop culture. The format of the night keeps the pace varied & the crowd laughing, lasting around 2 hours, allowing various breaks throughout the show for the audience to relax & have a chat as well. The host will present 45 questions over Two Rounds covering every area of trivia you can think of, with categories such as Geography, History, Pop Culture, Sport & The Simpsons, relevant to all age groups. Bring a table of your friends and family, fellow Club members or those who simply wish to join in some light hearted fun. There will be tables made up on the night so if you wish to meet some new like minded individuals, please register and come along.